I would 100% NOT recommend Coinmama to anyone. Their high fees (>10%) are somewhere between shocking, insulting, and amusing. Numerous alternatives in the UK charge much lower fees and offer an equivalent user experience. Thinking about buying bitcoin from Coinmama? Don’t. There are many better alternatives. 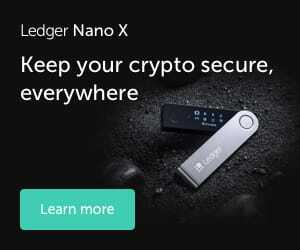 Read my Coinmama review for the details. Quick and easy to buy bitcoin. Bitcoin & 7 other cryptocurrencies available. This post has more information. Supports purchases with debit or credit cards. Register and verify your identity in less than an hour. Can only buy cryptocurrencies, but can’t sell them back. Purchases sent directly to an external wallet. Operates in 180 countries worldwide. Serve over 1 million customers worldwide. The UK is one of Coinmama’s biggest markets. When I’d calculated the fees I’d paid (from a test transaction), I was shocked. I honestly thought I’d made a mistake. 5.8% above the real BTC/EUR exchange rate (to Coinmama). 5% because I was using a debit card (to the payment processor). 3% non-sterling transaction fee (to my bank). £1.25 non-sterling purchase fee (to my bank). I’d paid over 14% in fees/premiums. WTF. Even the absolute worst alternatives in the UK charge much lower fees than this. 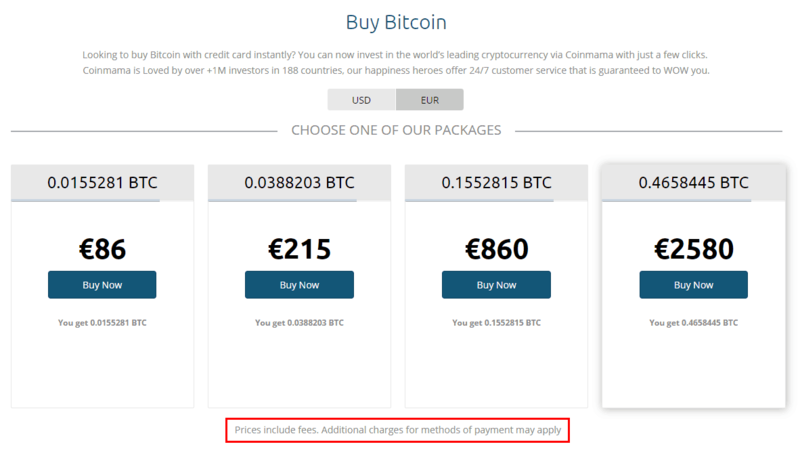 If you exclude Localbitcoins and Purse, there doesn’t appear to be ANYONE charging higher fees than Coinmama. That’s quite an achievement. You’d have to dig around a little to find this short post about Coinmama’s fees. There’s no specific information about all these fees before you commit to the purchase. I can gaurantee you will not find better support in the market. [This] is super important when someone is handling your money. 1 minute for online chats. Customers also seem satisfied with Coinmama’s service, with only 9% reporting that they weren’t satisfied. Without more contextual information (e.g., when/how were questions asked), this information isn’t that useful. With such terrible fees, why would anyone recommend or use Coinmama? Sure. Their interface is beginner friendly and it’s quick and easy to buy bitcoin. But I can say the same thing for a handful of alternatives in the UK. And all these alternatives have much lower fees. 100% do NOT recommend using Coinmama to buy bitcoin with a credit or debit card in the UK.